19.03.2018: BMW Middle East has further expanded its support of art and culture in the Middle East with a long-term partnership with Art Dubai. BMW Middle East has further expanded its support of art and culture in the Middle East with a long-term partnership with Art Dubai. The three-year partnership, in collaboration with AGMC, the official BMW Group importer for Dubai, Sharjah and the Northern Emirates, is the latest initiative in BMW’s long-term arts and cultural engagement. For the past five decades, BMW has been partnering with hundreds of initiatives worldwide in the fields of jazz and classical music, modern and contemporary art, as well as architecture and design. During Art Dubai, guests also can visit the BMW area to find out more about BMW Contemporary - a local initiative exclusive for the Middle East, which aims to strengthen intercultural dialogue, and spark curiosity and imagination. Commenting on their ongoing commitment to arts and culture, Osman Abdelmoneim, General Manager AGMC, said: “AGMC considers itself a corporate citizen, which means we understand the responsibility we have as a business to help enrich the community we are a part of. 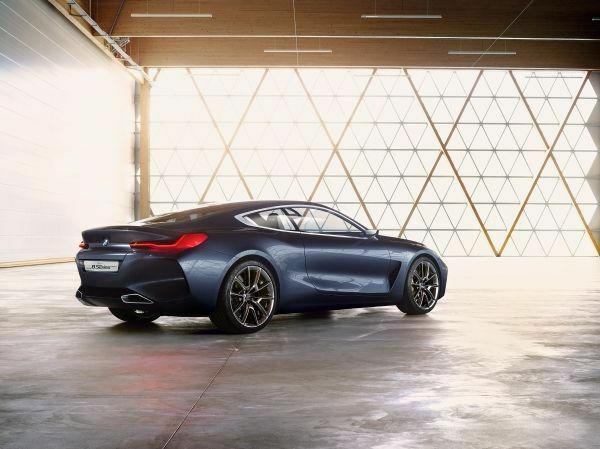 As a real highlight the BMW area will also host the BMW Concept 8 Series, the essence of a modern-day BMW coupe wrapped up in an enthralling design study. It is open to all visitors to the 12th edition of Art Dubai, at Madinat Jumeirah from March 21 – 24, 2018.